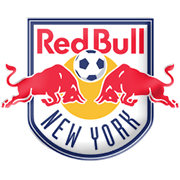 New York Red Bulls will be looking to make amends for back-to-back losses to the likes of Orlando City and Chicago Fire when they host Minnesota United at their Red Bull Arena. The Metros have been struggling in front of goal of late, but they are definitely capable of grabbing something from Sunday’s football game against the Loons. Bradley Wright-Phillips, who was scoring goals for fun in the 2018 season, will be the man to watch in the home team and he is likely to pose a big threat for the opposition defenders. Minnesota United, on the other hand, failed to impress in back-to-back losses to the likes of Los Angeles Galaxy and New England Revolution, which is yet another reason why we are tempted to put our money on the hosts. When the two teams met at Red Bull Arena last season New York Red Bulls emerged triumphant (3-0). Daniel Royer is an Austrian winger who was born in Schladming on May 22, 1990. After starting his youth career at local club Schladming, Royer moved to Sturm Graz in 2004. Five years later the 175-cm-tall footballer began his senior career at Pashing and after scoring 6 goals in 25 appearances for the club, he moved to Ried. Daniel Royer played for the likes of Hannover, Koln, Austria Wien and Midtjylland as well before joining New York Red Bulls in 2016. In the 2017 MLS season the Austria international established himself as a first-team regular, scoring no less than 12 goals in the process. Speaking of his international career, Royer made his Austria debut on June 3, 2011, replacing Martin Harnik in the EURO 2012 qualifier against Germany. Daniel Royer’s main position is left winger, but is used as a right winger as well. It has to be noted that the Austria international doesn’t have a preferred foot. Based in the Minneapolis-Saint Paul area, Minnesota United are a professional soccer club that will compete in the Western Conference in the Major League Soccer from 2017. The Loons will make their MLS debut against Portland Timbers on March 4, 2017 and, no doubt, they have big ambitions for the forthcoming season. Minnesota United are the sixth team to join MLS from a lower division and they will welcome their rivals at TCF Bank Stadium. The capacity of the stadium is 52.525 and it was opened in September, 2009. Bill McGuire is the club’s owner and he is on a quest to turn Minnesota United into a top-table side in the Western Conference. Adrian Heath will be in charge of the club in the 2017 season and it has to be noted that the English tactician used to train the likes of Manchester City, Everton, Aston Villa and Espanyol in the past. You should know that the club was founded on March 25, 2015.